California is among the states that saw a drop in foreclosure starts in the July-September quarter of 2013. Nationwide, foreclosures are at a seven year low, declining 13% from the previous quarter and 39% from a year ago – and down a total of 59% in California. The drop in foreclosure stats is believed to be due to a gradually improving housing market, rising home prices, improving employment numbers, and fewer troubled loans. There was a slight increase in completed foreclosures from Q2 to Q3, rising 7% but down 24% from the same time last year. In California, REOs increased 19% in Q3 – but not bad compared to New York’s 65% increase. At the peak in 2010, there were roughly 1.05 million foreclosures, and the numbers have been declining ever since. According to a survey by YouWalkAway.com, the extension of the Mortgage Debt Relief Act of 2007 will drive more short sales in 2013. The act was set to expire at the end of 2012, but Congress voted to extend it another year, thus providing debt forgiveness for underwater homeowners who choose a short sale, loan modification, or foreclosure rather than defaulting on their loan. While the report doesn't see a new wave of mortgage defaults this year, the extension of the act will provide tax relief for those homeowners who are currently in foreclosure. New foreclosure applicants, however, can only expect to have that tax relief for a year (which is how long the act has been extended) – a time period that may not be enough because of how long some foreclosures can take. 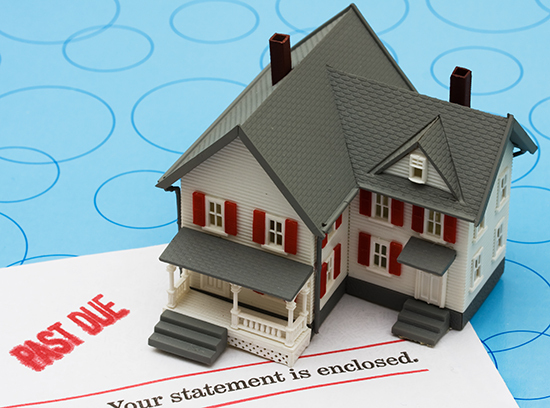 As an alternative to defaulting on your loan, a short sale or loan modification may be the best route. According to RealtyTrac, foreclosure filings in September are down 7% from August - that’s 16% down from September 2011, and the lowest quarterly reading since the last quarter of 2007. These numbers include default notices, scheduled auctions, and bank repossessions. Activity slowed down quite a bit after banks put the brakes on foreclosures because of the robo-signing debacle two years ago. Everyone expected foreclosures to flood the market once banks were able to start processing their backlogs of delinquencies, but that’s not what’s happening. Several factors contribute, mainly preventing homeowners from falling into foreclosure through efforts like the Home Affordable Modification Program and low mortgage rates. According to Radar Logic’s monthly housing market report, June sales of homes at foreclosure auctions and REO sales fell to its lowest level since 2008. The statistics are derived from 25 metropolitan cities throughout the country. The report also showed concerns over a large backlog of inventory including bank inventory, underwater homes, and homes in the process of foreclosure.